Besides being a valuable tool for diagnosing injuries, ultrasound can complement your physical therapy plan.  At NYPT Health and Rehab in Midtown Manhattan’s Flatiron District of New York City, physical therapist Rich Sarmiento, MPT and his team of professional medical affiliates use ultrasound for both therapeutic and diagnostic purposes. To learn more about how ultrasound can relieve your sports injury or orthopedic condition, call NYPT Health and Rehab or book an appointment online today. Mr. Sarmiento uses ultrasound therapeutically to help injuries and inflamed tissues heal faster. Ultrasound creates a deep heating effect in the muscle tissue it’s applied to, which aids in the healing process. Therapeutic ultrasounds are typically part of rehabilitation and physical therapy plans. NYPT’s affiliated sports physician may use ultrasound to diagnose a host of injuries, including joint injuries. The ultrasound device sends sound waves into the tissues below your skin. These waves bounce off your organs and tissues, creating an image of the inside of your body that gets projected onto a screen. What injuries can be treated with ultrasound? Ultrasound is a popular addition to physical therapy treatments for a broad range of sports injuries and orthopedic problems. What are the benefits of therapeutic ultrasound? The increase in blood circulation from ultrasound therapy helps to reduce swelling at the site of your injury or decrease chronic inflammation. What should I expect from an ultrasound procedure? Whether you’re in the office for therapy or diagnosis, getting an ultrasound is a quick, painless, and noninvasive procedure. Diagnostic ultrasounds take only a few minutes, while therapeutic ultrasounds may last a bit longer. First, your doctor applies a small amount of gel to the treatment area. Then, they use a small wand called a transducer to send sound waves through your skin. You may not feel anything at all during an ultrasound treatment, but it’s possible to feel a slight warming or tingling sensation. You shouldn’t feel any pain, though. If you’re interested in learning more about how ultrasound can help you recover from an injury, call NYPT Health and Rehab or book an appointment online today.